A great visual strategy to help students who need assistance with language or behaviour to complete specific tasks. 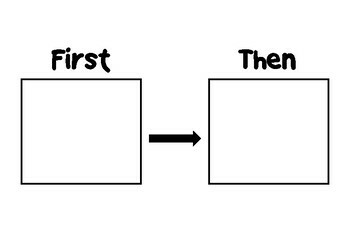 This resource contains a 'First and Then' board as well as a variety of pictures which can be used. When I have made it activity, I print the sheets on cardboard and attach velcro to the back (blu tak would work too!). 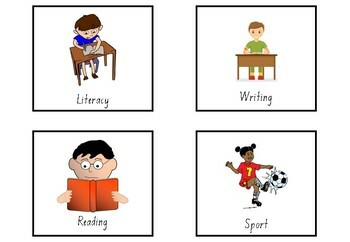 Usually, the first activity is the non-preferred activity and the then activity being what the student prefers. The pictures used are ones which I have personally used with my own students, there are 4 blank boxes for you to make your own!